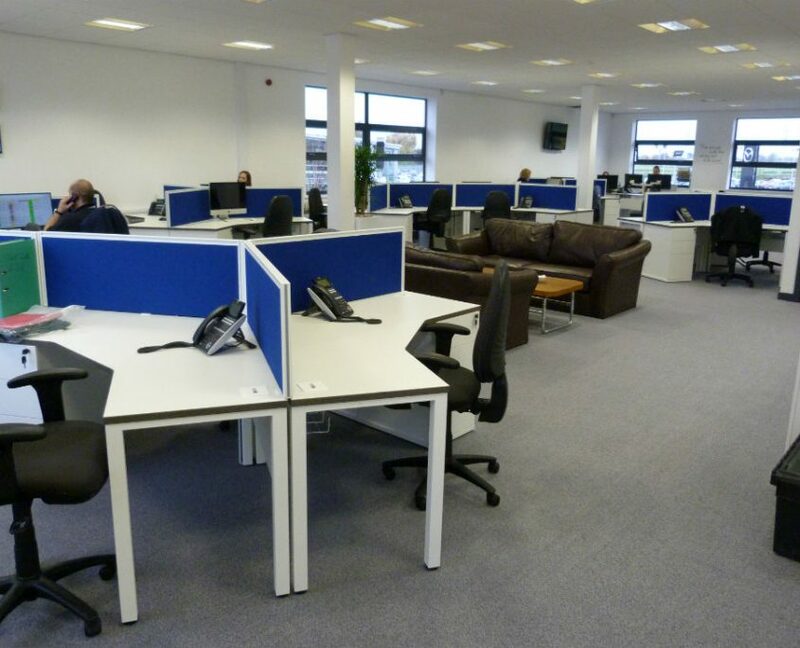 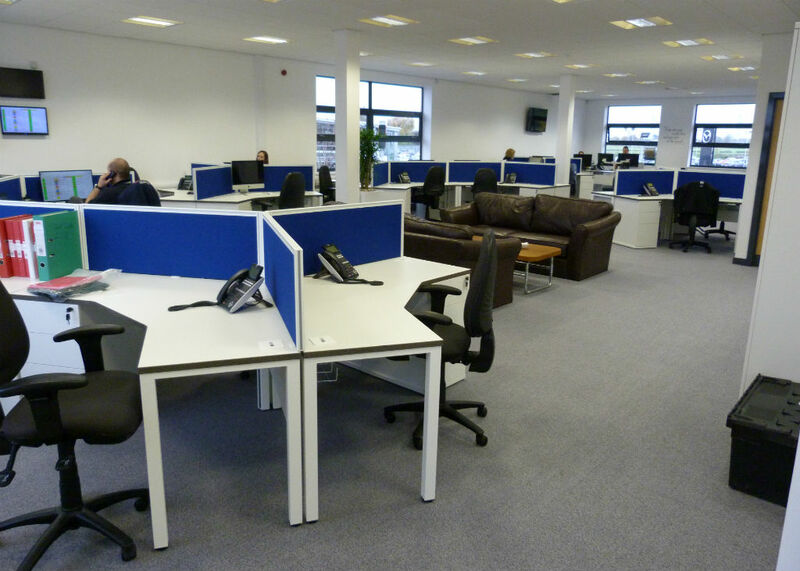 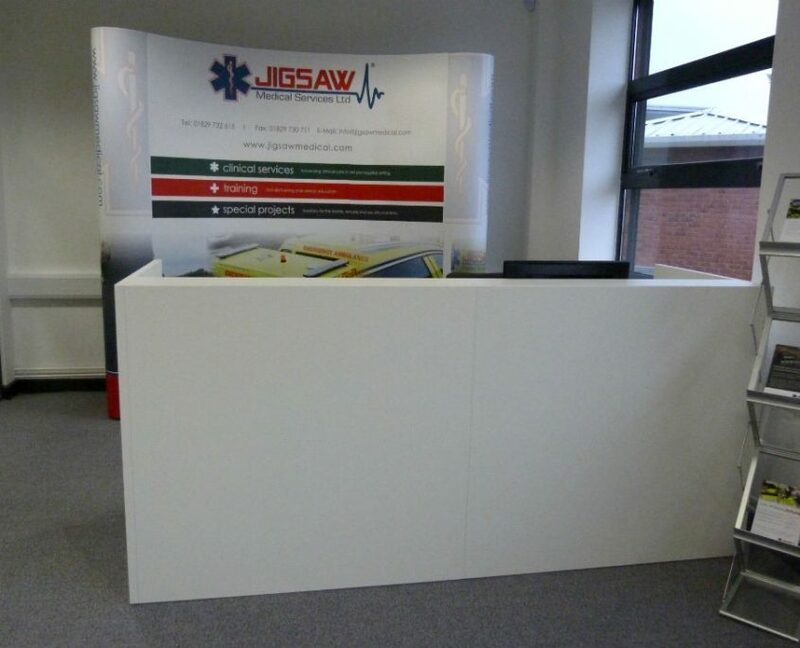 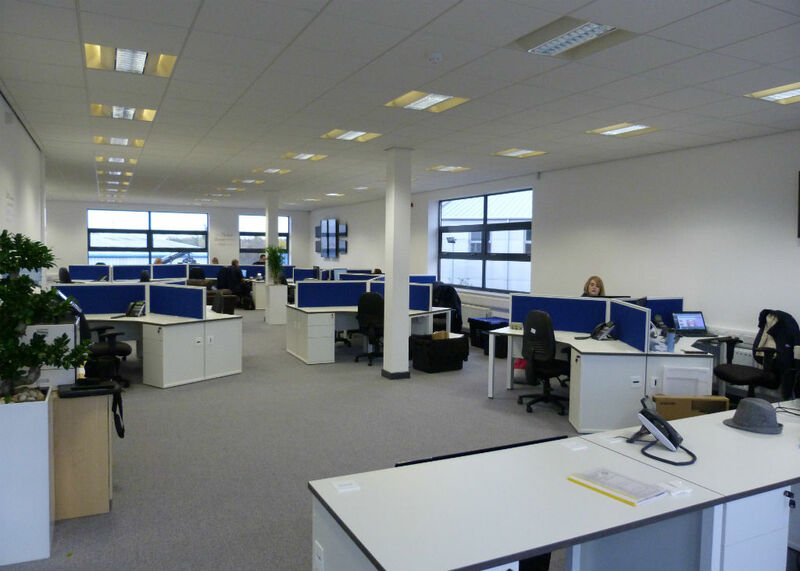 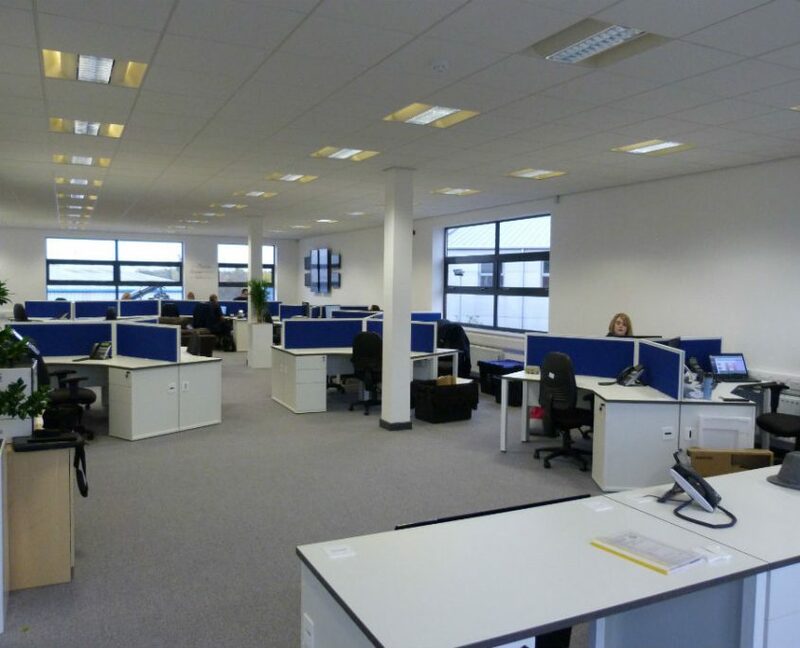 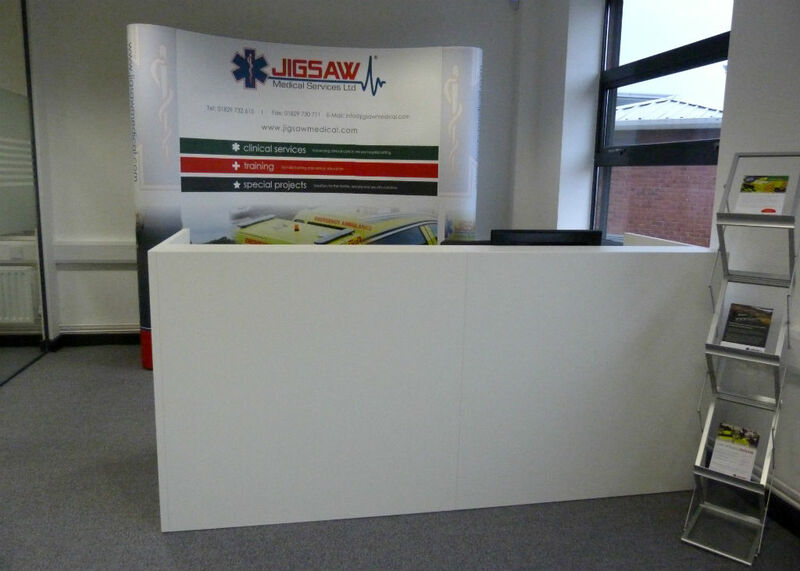 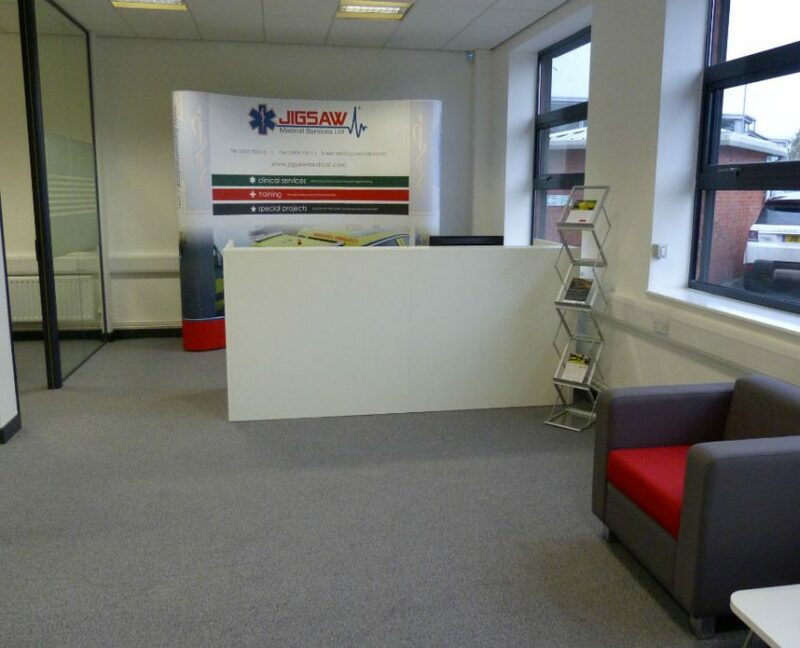 Jigsaw Medical Services based in Tarporley, Cheshire came to us when they were moving offices and wanted to add some new office furniture to their existing. 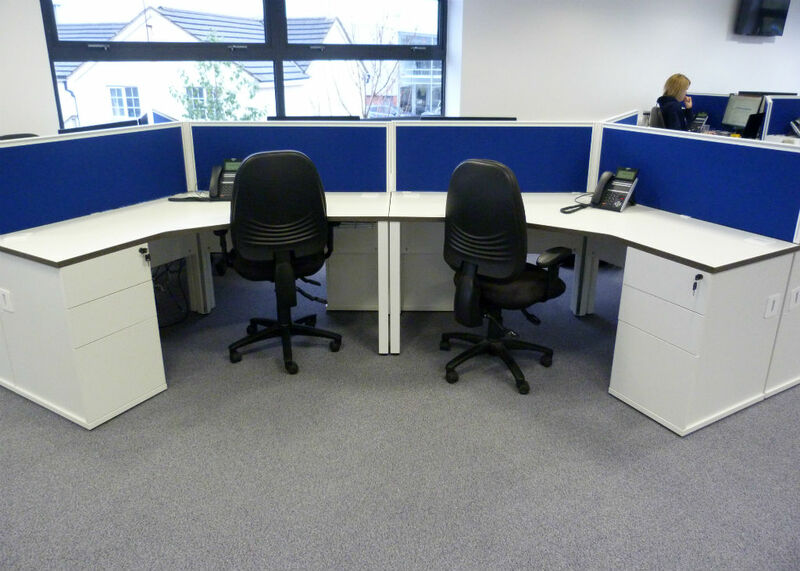 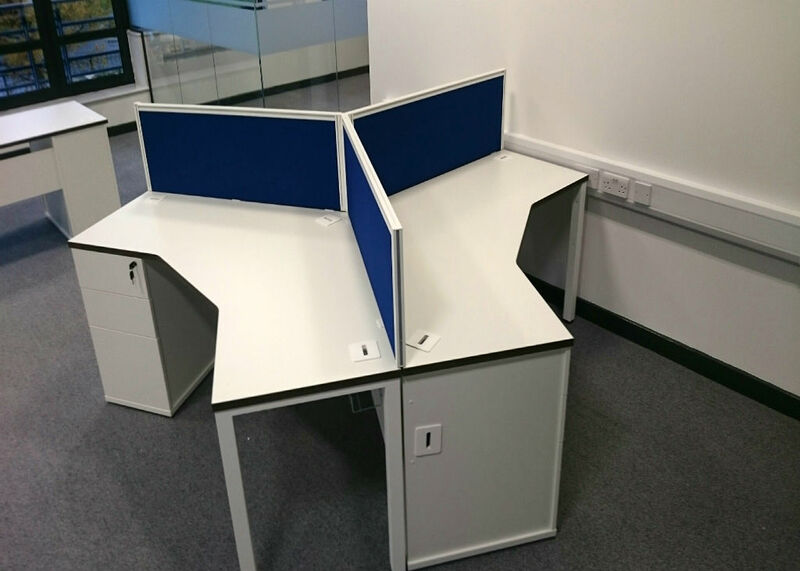 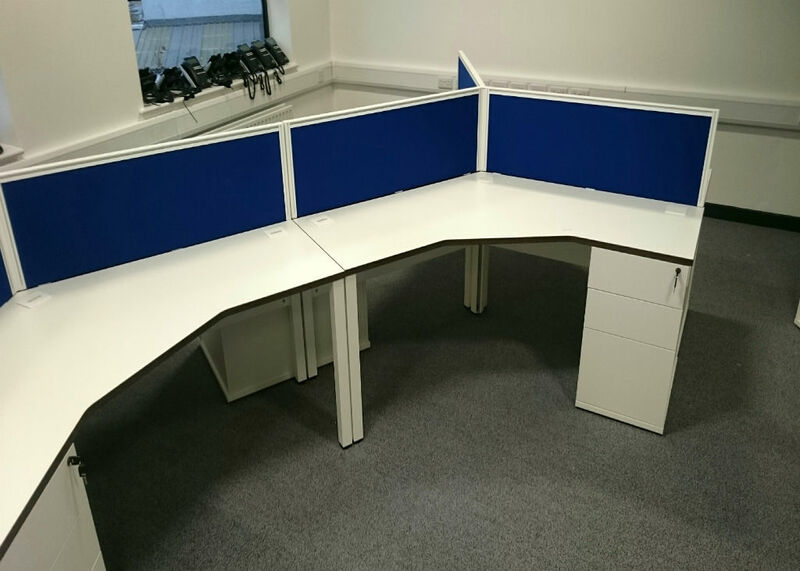 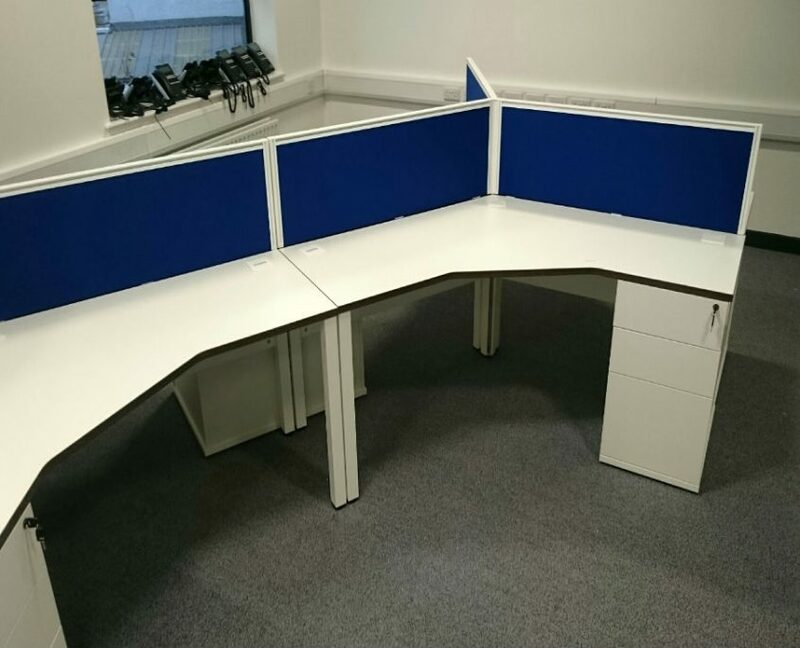 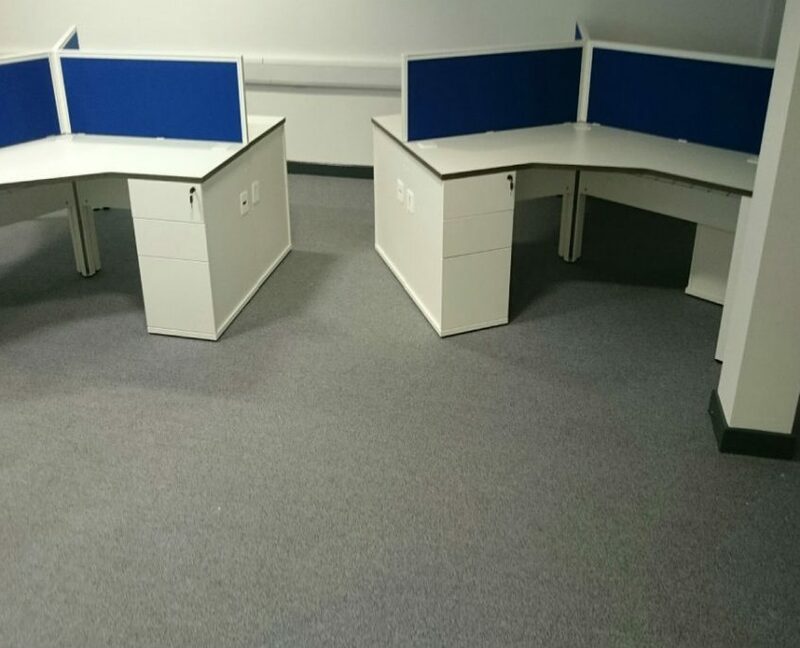 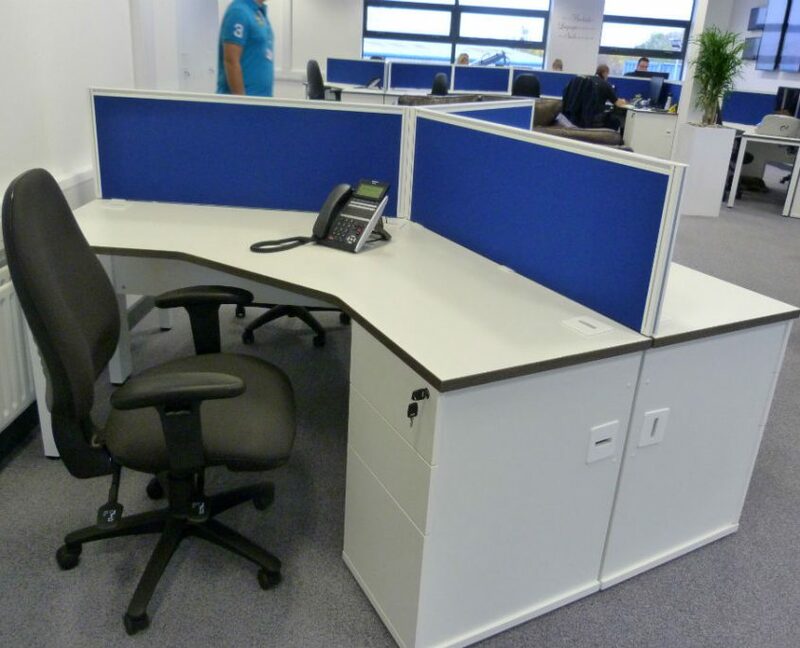 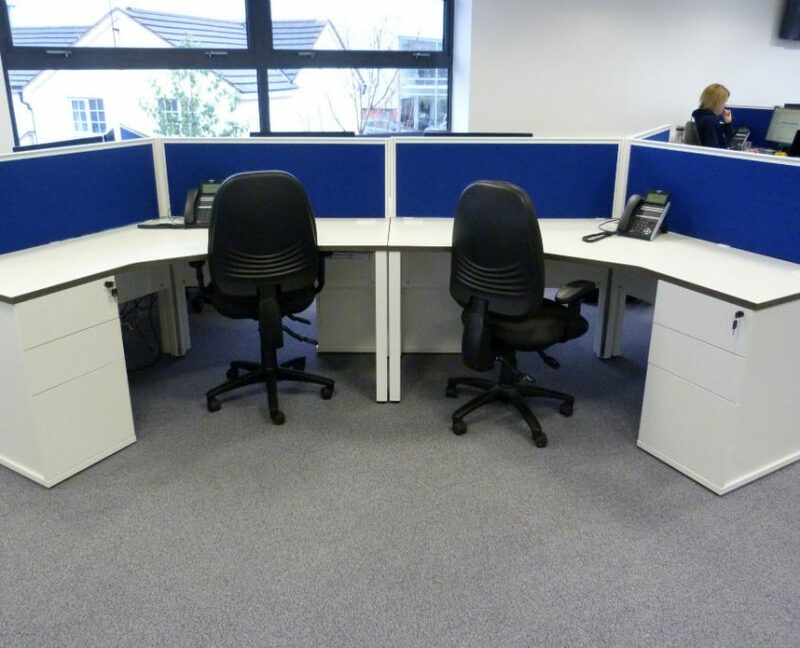 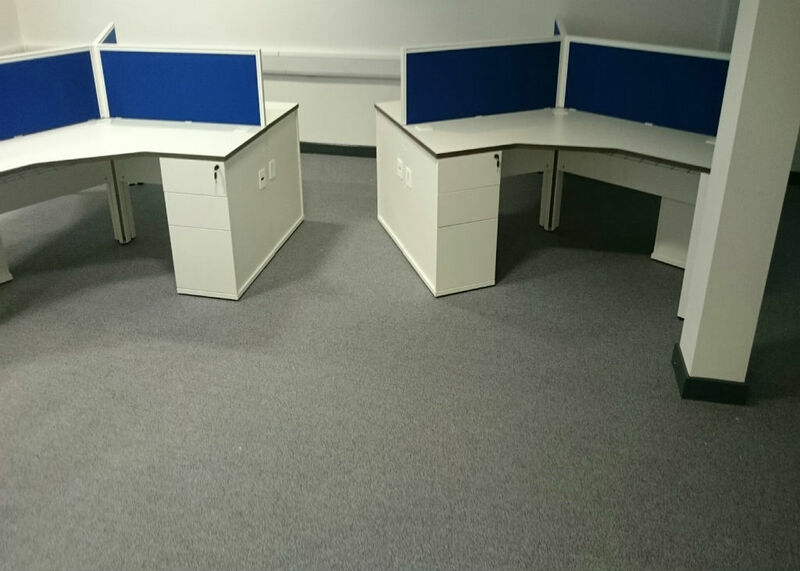 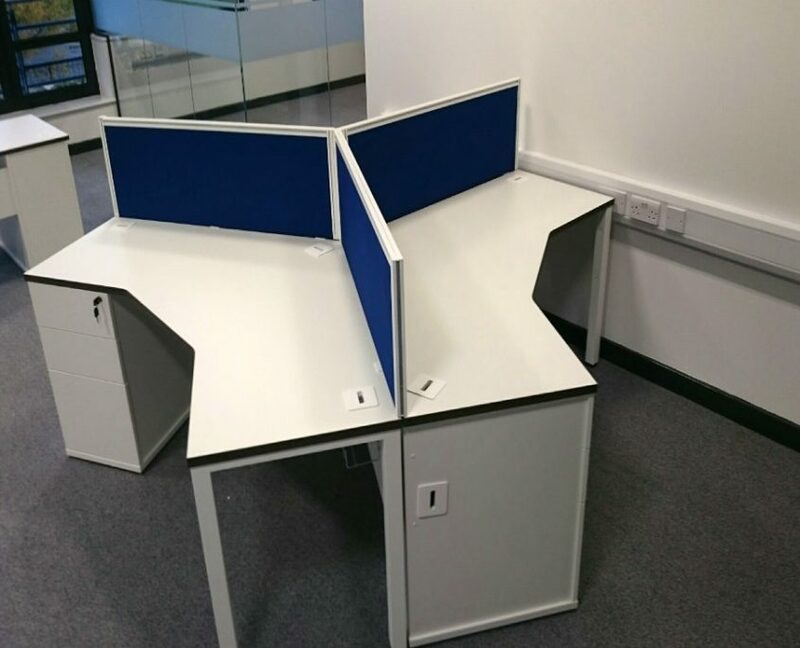 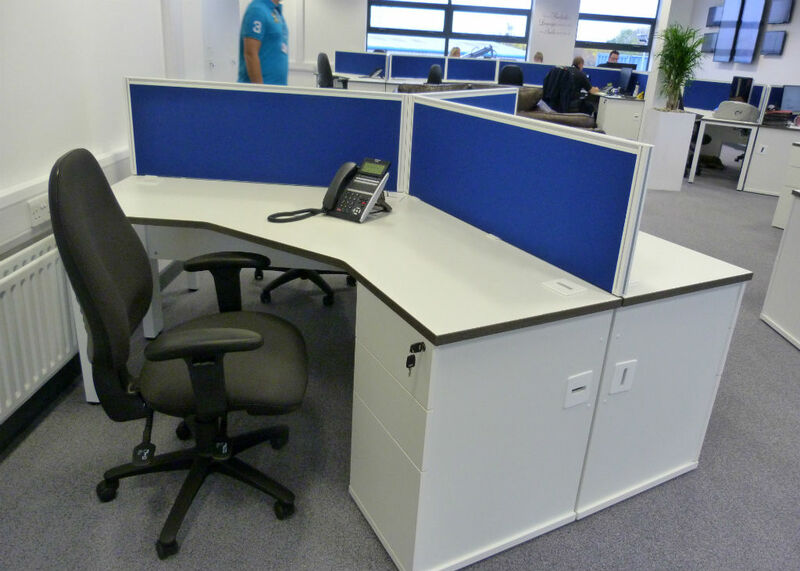 We supplied white pure segment desks with integral side opening pedestals on a white steel leg frame and blue 480mm high fabric desktop screens with white trim. 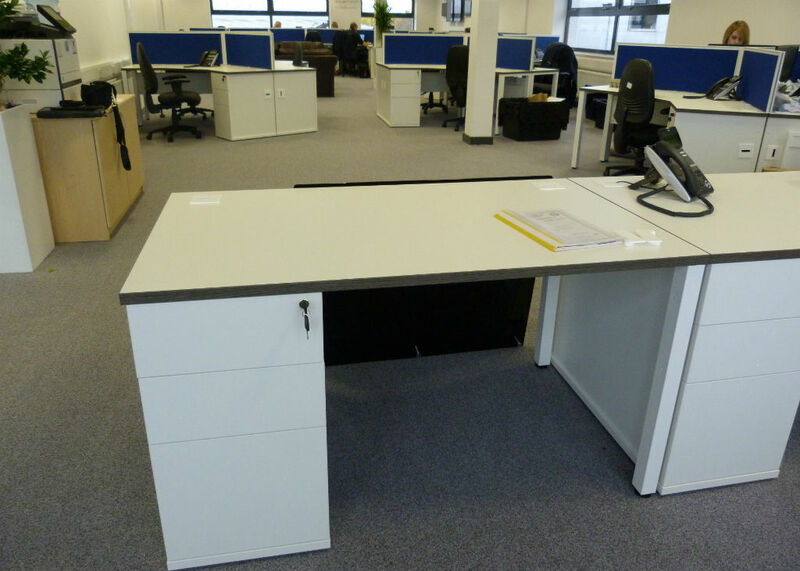 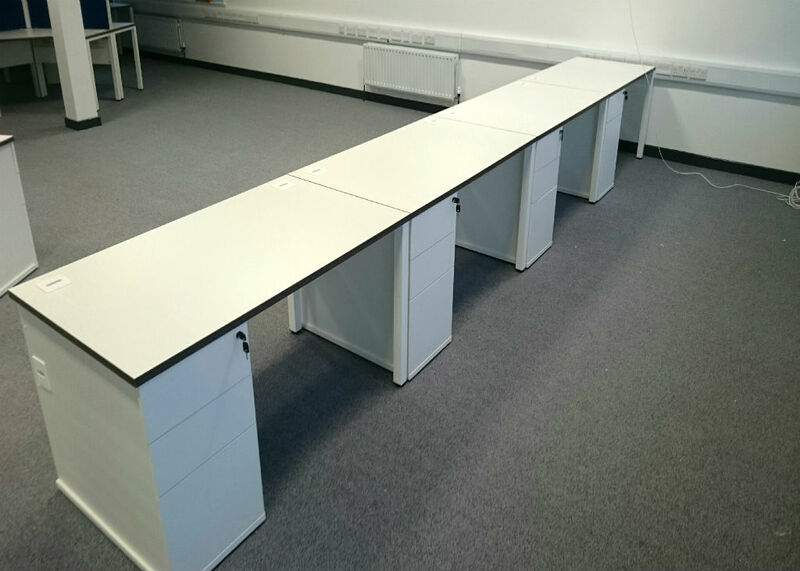 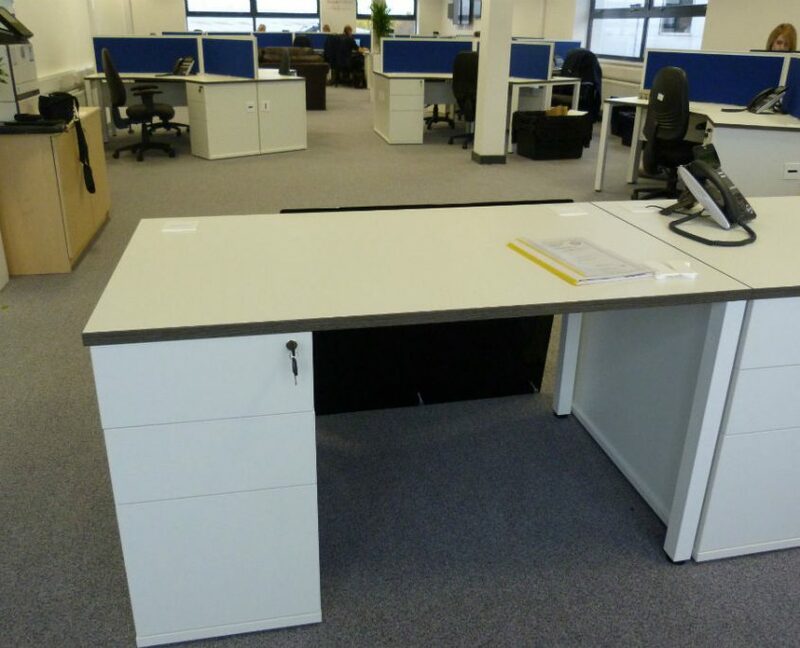 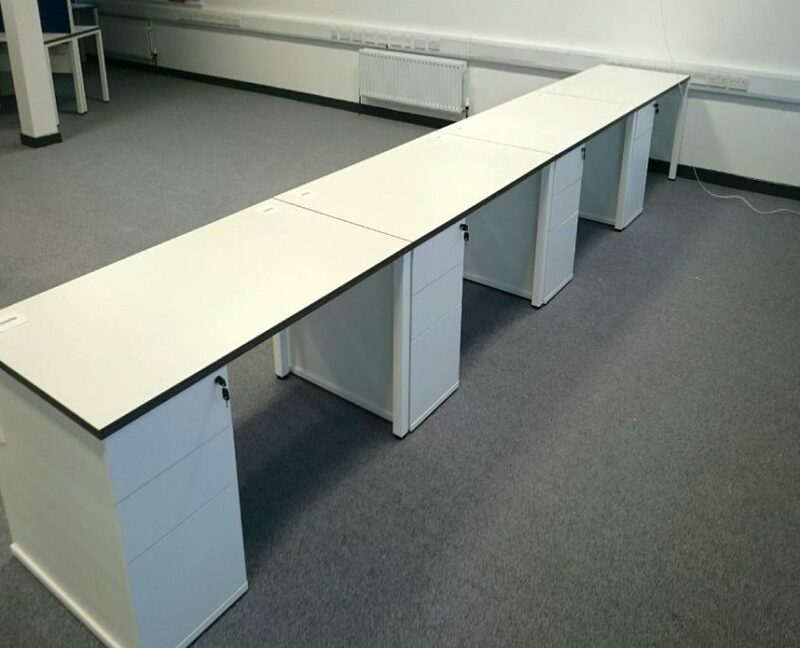 In the same office we supplied pure straight desks in white with integral side opening pedestals, all in a white finish with an anthracite trim. 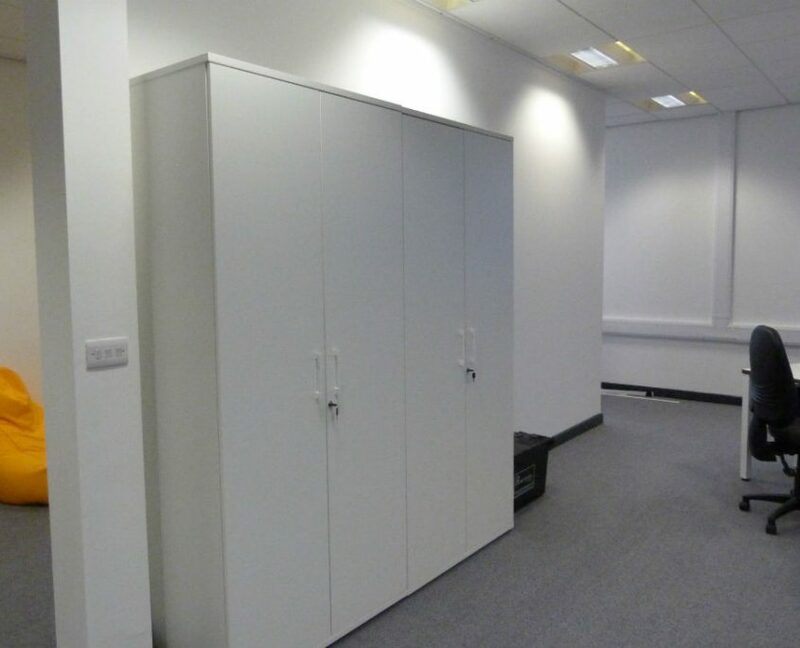 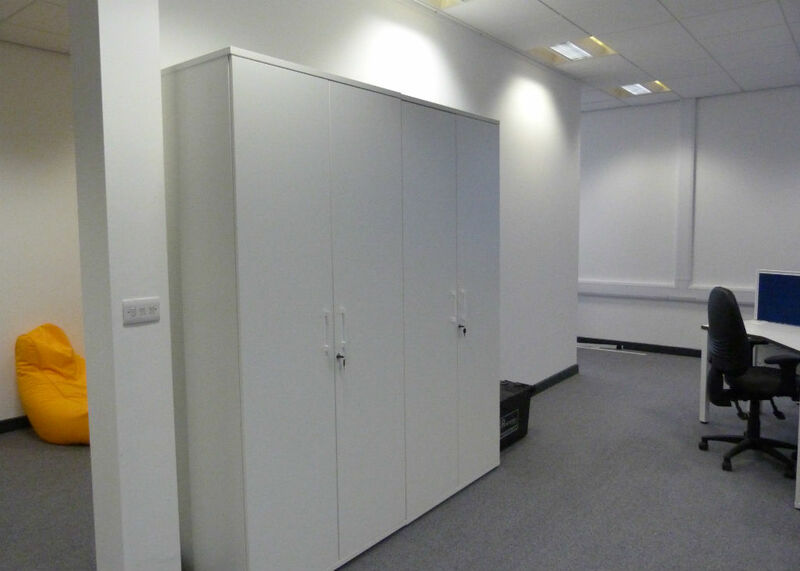 Alongside this we added some matching office storage 2metre high 2 door cupboards. 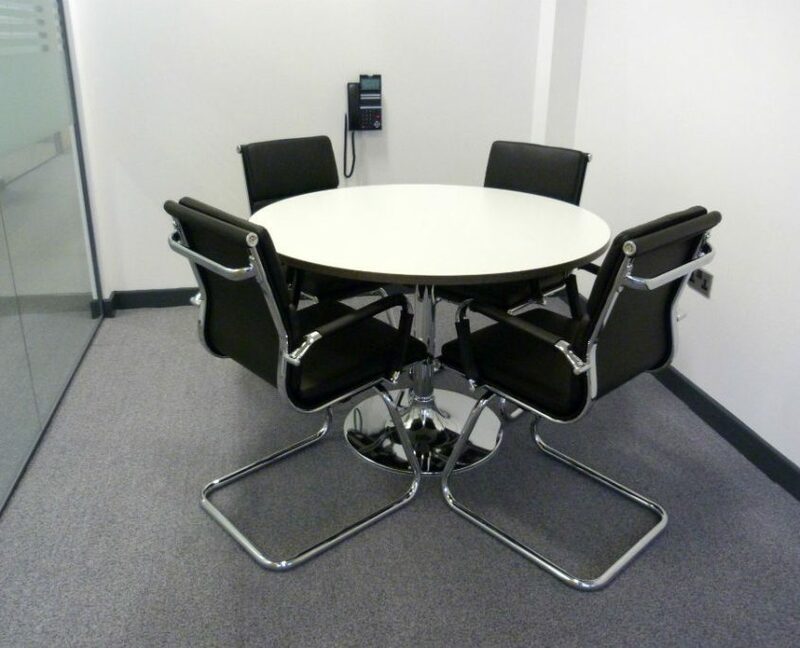 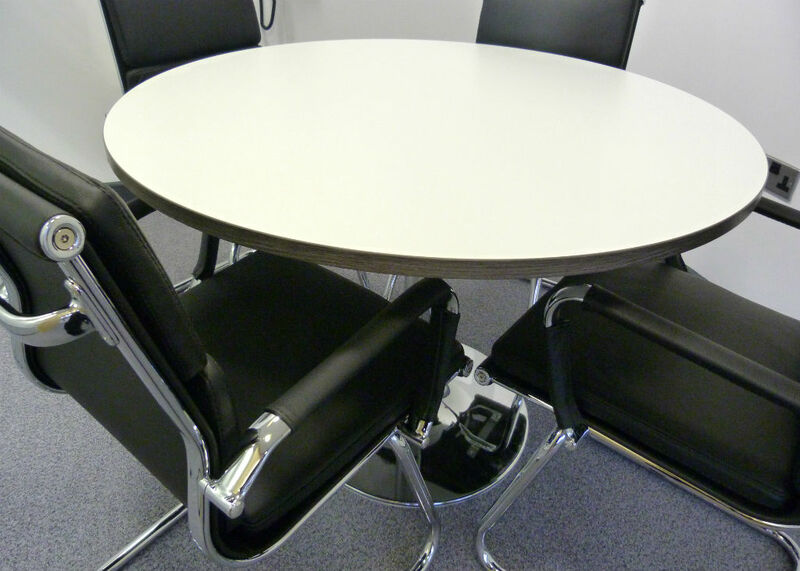 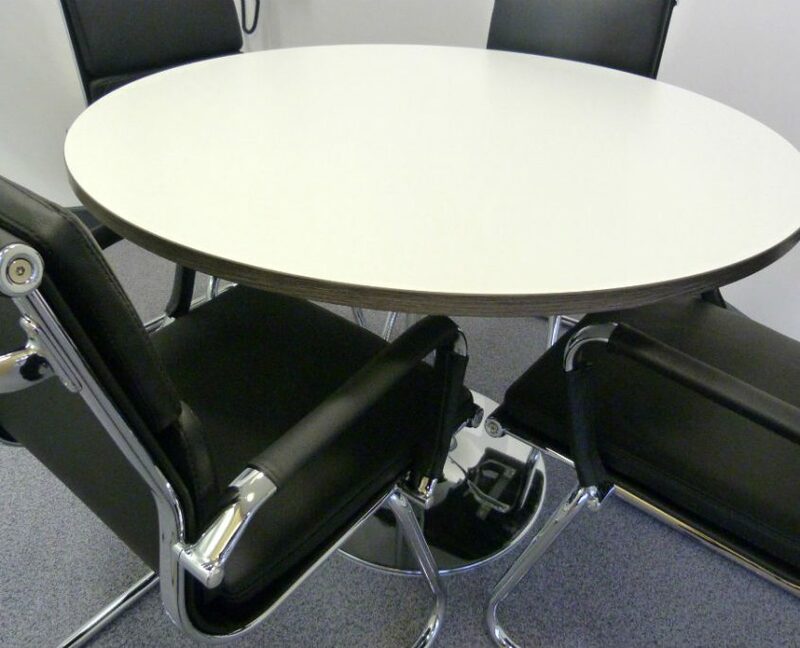 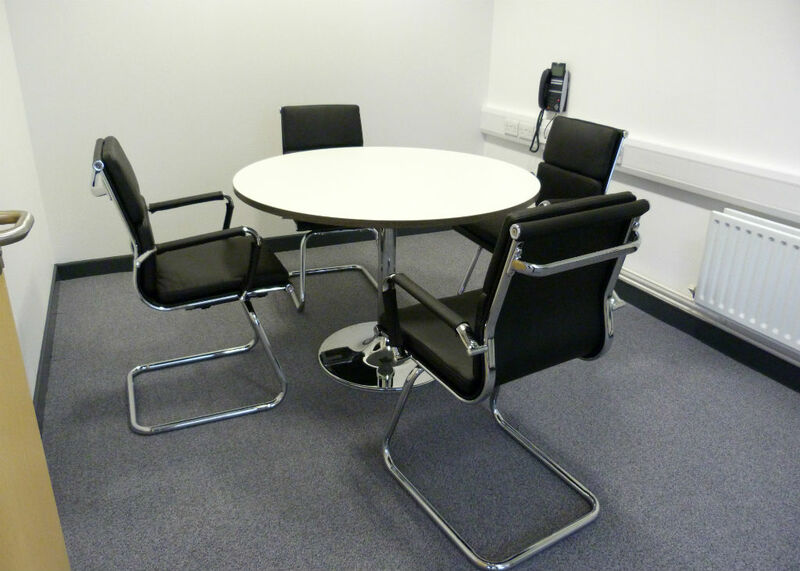 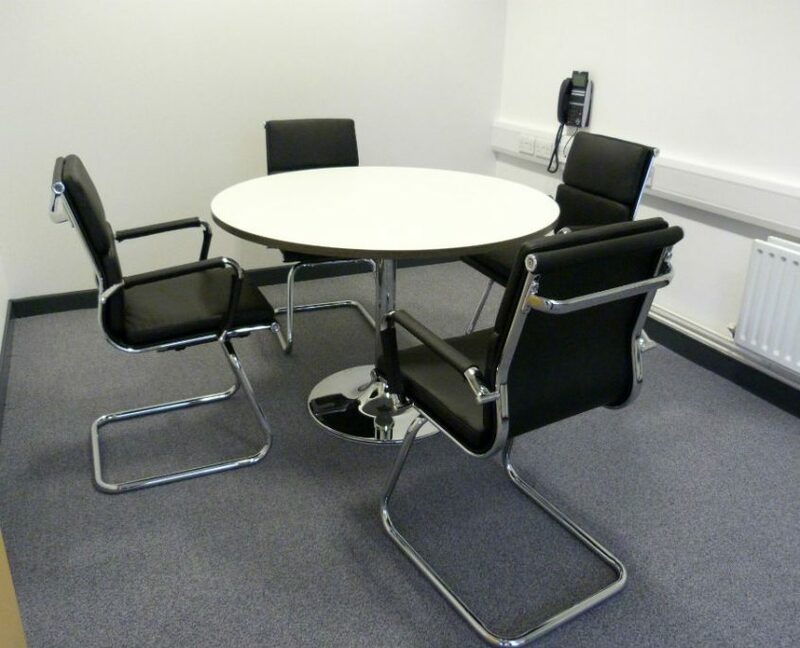 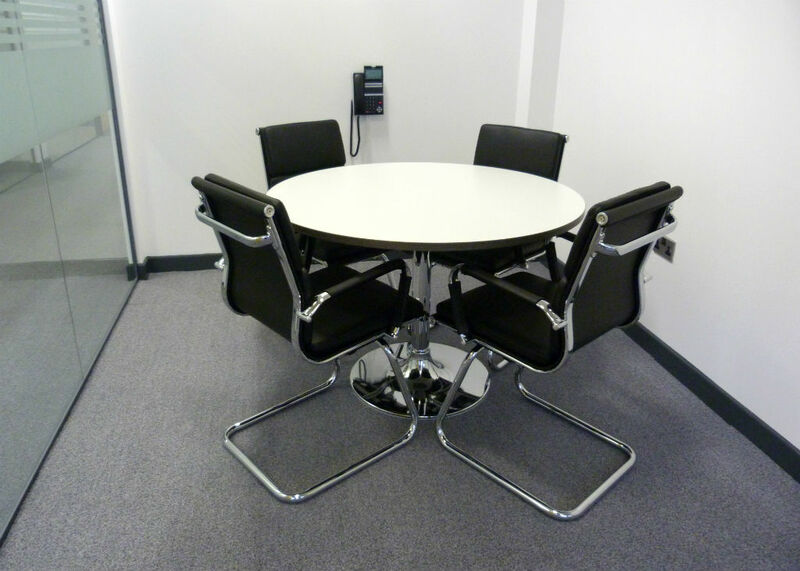 In the meeting rooms the office furniture we used were CMCA leather black meeting chairs with cantilever chrome frames around white circular tables with a tubular chrome base. 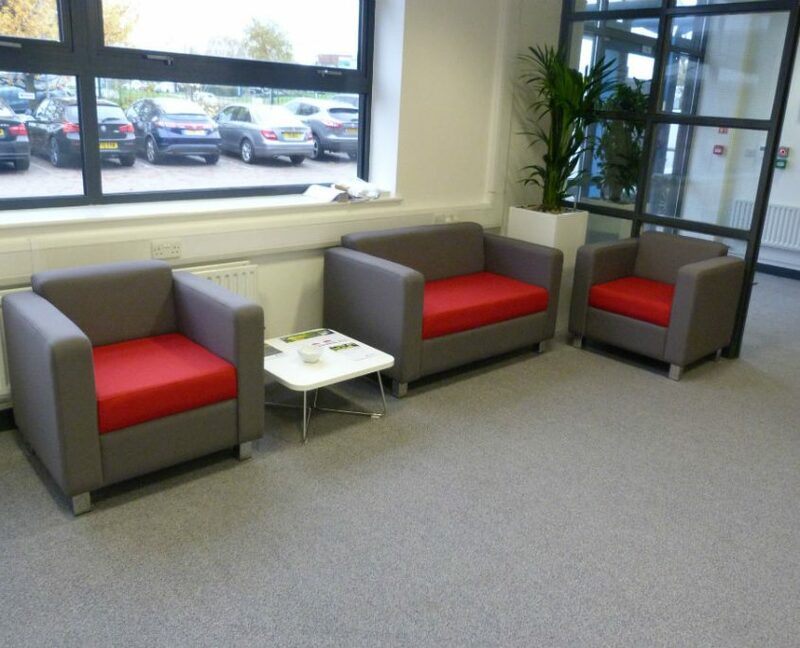 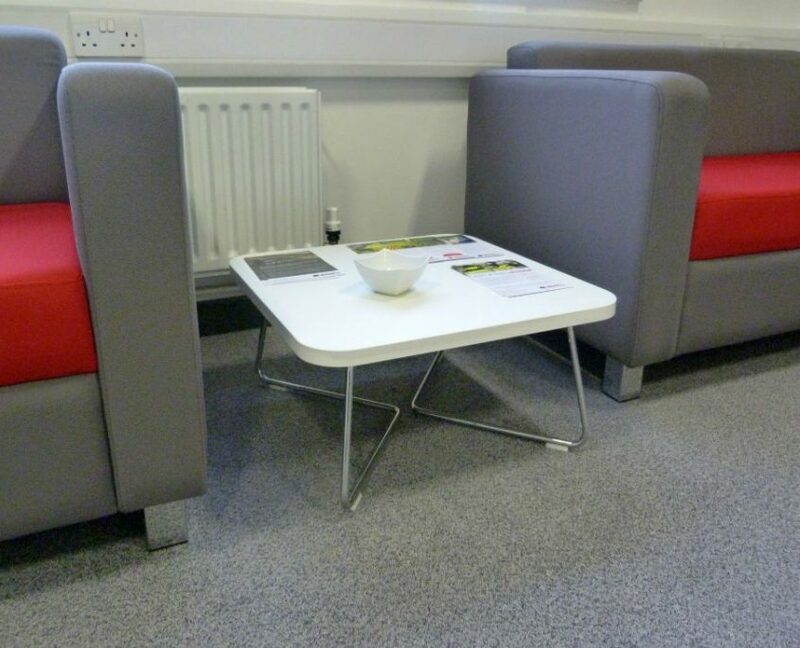 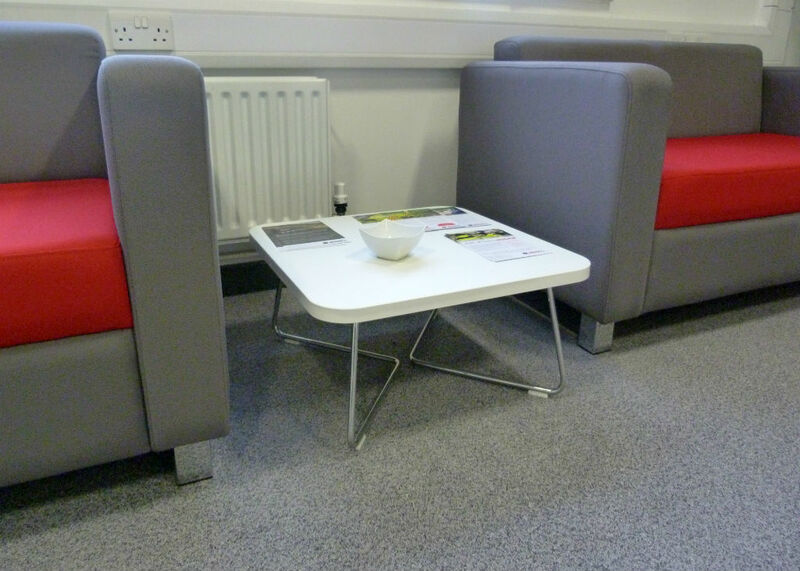 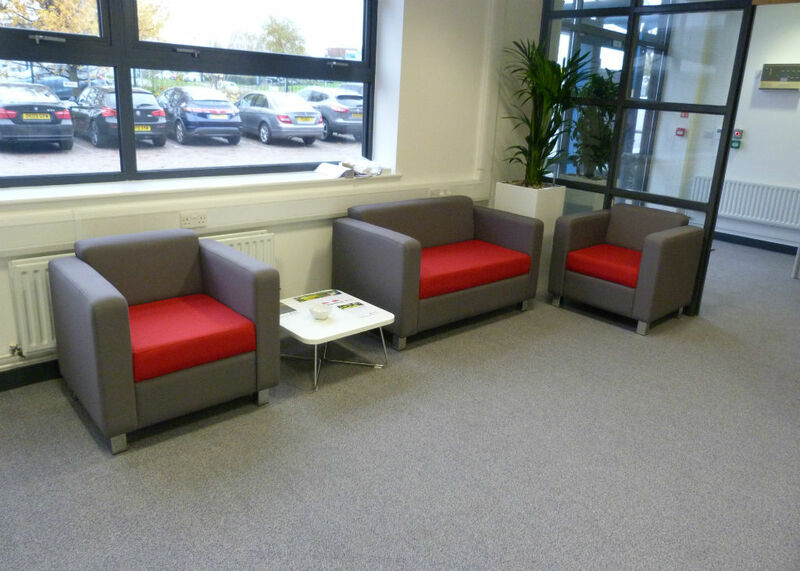 Finally in the reception we supplied a white z2 reception desk, in the seating area we added an ‘adore’ white coffee table on a chrome skid frame and the oxford sofa and chair with grey & red fabric to match their company colours and chrome square feet. 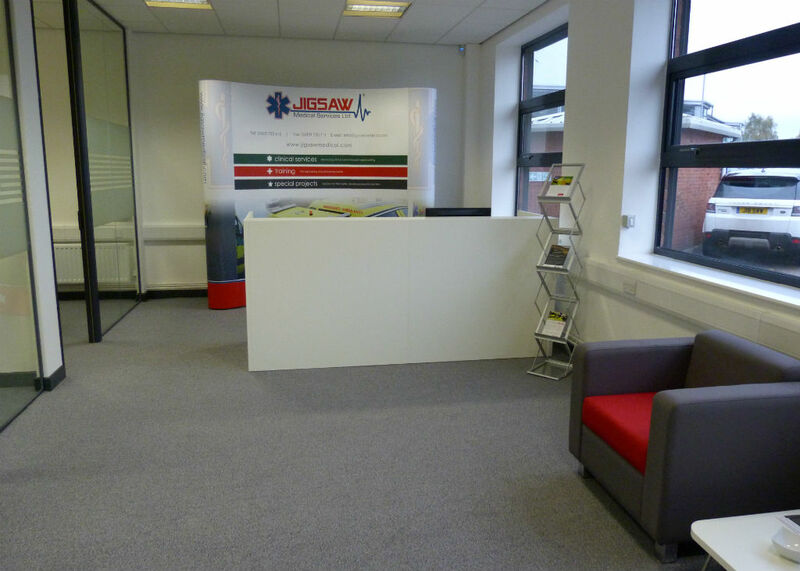 Check out our testimonial page to see what Jigsaw had to say about their new office furniture themselves in a small video clip.